We offer semi automatic Piston Die Casting Machines in various sizes. 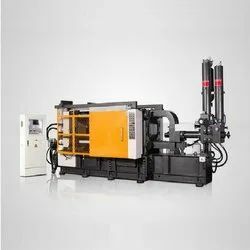 This machine is exclusively designed to cast pistons by gravity die casting. The machines are hydraulically operated and controlled using touch-screen HMI with in-built PLC. - All our piston die casting machines are proven in design and are successfully working in various piston manufacturing companies. They are designed for high consistent quality piston casting.